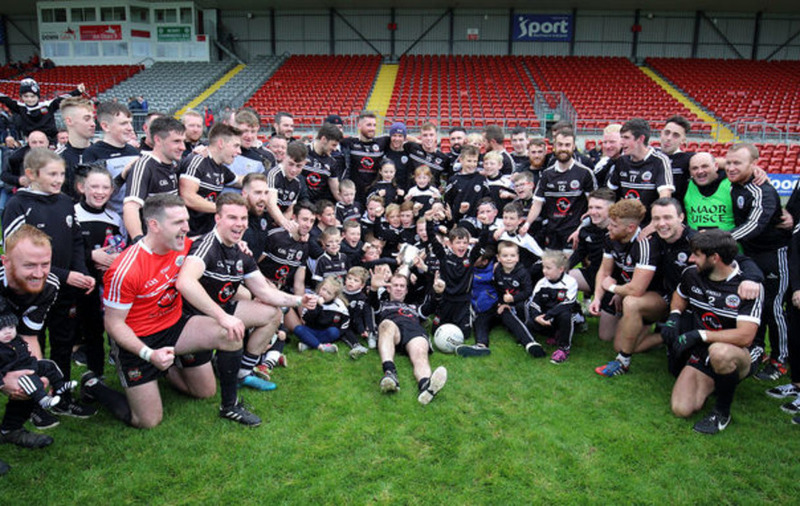 AS now familiar chants of ‘U.T.M.’ (up the Magpies) rang around at Pairc Esler amid the joyous scenes involving men, women and children in black and white, Paul McIver reflected that “these are great times to be Kilcoo club people”. 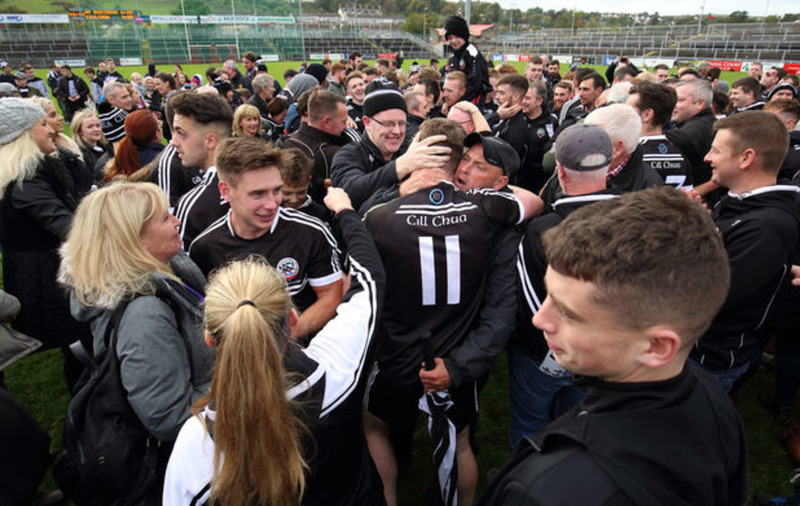 There can be no argument with that after McIver’s side had rubberstamped their status as the best in Down by extending their championship record haul to 16 and equaling Burren’s long-standing record of six county titles in-a-row into the bargain by over-powering the St Mary’s club in yesterday’s decider. “We are just lucky we are in that time when we are being successful,” said McIver, who has been the helm for the last three championships after Jim McCorry had masterminded the first three. McIver’s men weathered an early Burren storm and then battled back from three points down twice in the first half to take control of the game in the second half and emerged deserving winners. “The boys work extremely hard in training every single night,” said McIver. “The resources are there the last five or six years and they have got serious fitness levels. “We knew if we could weather the first 15 minutes, we had talked about it, then we knew we would have to hang in there to do enough to get over the line and that's what we did. 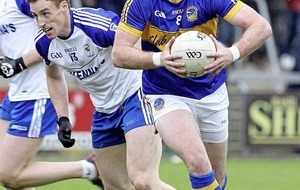 He added: “We knew that for six years, Burren have been hurting, big time. 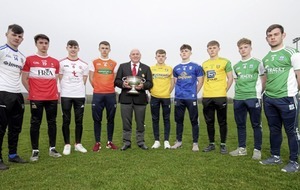 There was sadness too as Ballinderry native McIver reflected on the recent passing of honorary club president Joe McOscar and the tragic death of Ardboe man Stephen Wilkinson. “It's only football,” he said. “I had to leave our parish in Ballinderry where one of our great stalwarts passed away the other day. I woke up this morning and our local neighbour, Stephen Wilkinson was killed last night in a crash in Cookstown.